Before Baahubali 2, refresh your memory with Baahubali: The Beginning re-releasing on 7 April!! Baahubali: The Conclusion is almost a month away from its release, and the makers are not letting any stone unturned to make it the biggest blockbuster in the history of Bollywood. From promotions to events, Baahubali: The Conclusion is floating everywhere in the news. Baahubali re-release is again taking fans by surprise. To make an aura for Baahubali: The Conclusion, the makers are applying a different strategy to promote the film. Therefore they are re-releasing Baahubali: The Beginning. Yes, the epic film of Bollywood is re-releasing. Baahubali: The Beginning will release on 7 April. This information was provided by Baahubali: The Conclusion producer Karan Johar. Karan Johar said in his latest tweet, “It’s time for refresh the memory of this epic!! And for those who haven’t seen it! You can’t miss this one! Baahubali is re-releasing 7th April.” After Baahubali: The Beginning the nation was left with an unanswered question of “Why did Kattappa killed Baahubali? 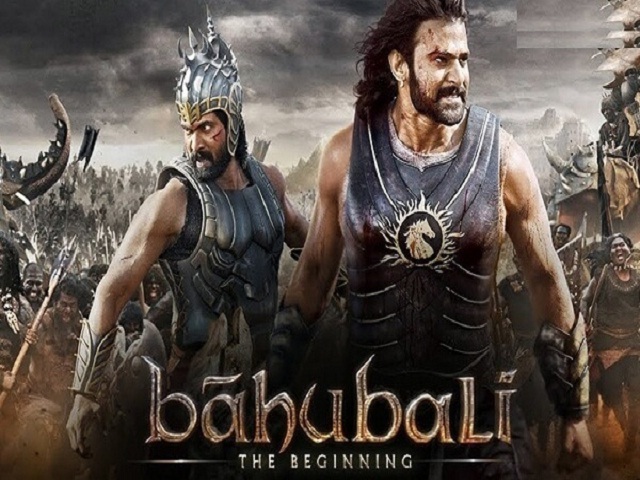 Baahubali: The Conclusion has already gained enormous popularity while its motion posters and trailer was released. After the trailer got released, the audience got more curious about the answer. It is because the bond between Kattappa and Baahubali is very heart warming where Baahubali is seen referring Kattapa as his “Mama” and is seen telling that no one in this world can kill him until he is beside him. It means that Kattappa has betrayed Baahubali? Well, this mystery will be solved on 28 April. Baahubali 2 or Baahubali: The Conclusion casts Prabhas, Rana Daggubati, Anushka Shetty and Tamannaah in the leading roles. While Baahubali: The Beginning will release on 7 April, Baahubali: The Conclusion will release on 28 April.